While English as a foreign language is gaining importence in the region, German is still understood by elder residents. If you don't speak German, you got one more reason to bring a good map. 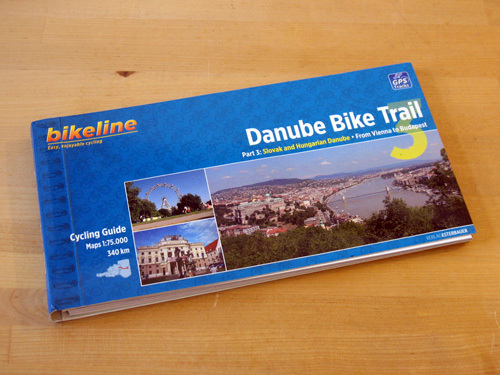 There are two guide books available: the "Danube Bike Trail 3" guide book (by Esterbauer) and the "The Danube Cycleway, Vol. 1" guide book (by Cicerone). We recommend getting the "Danube Bike Trail 3 ". It provides useful maps at a scale of 1:75,000, route instructions and hints as well as lists of accommodations and camp sites along the cycle path. Your map will be crucial as sign-posting along the way is not perfectly in place yet. The two books cover the cycle path up to Budapest. The cycle path beyond Budapest is described here.